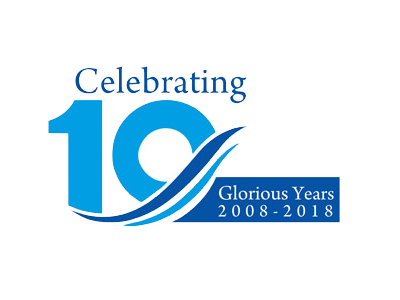 In this modern era, where the construction projects are undertaken at large scale in every corner of the world for infrastructural developments and to satisfy the demands of ever increasing population for residential areas and business operations. It becomes mandatory for companies to adopt the technology and its benefits to speed up the progress. 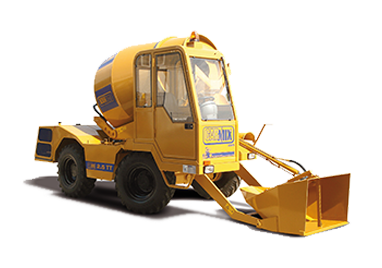 The construction equipments such as Self Loading Concrete Mixers, Dumpers, Carsilos, etc are some of the innovations in this field. 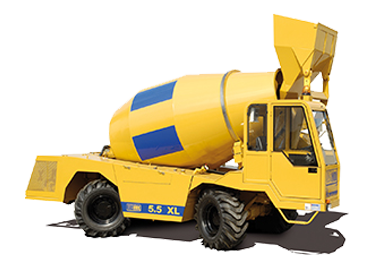 What is Self Loading Concrete Mixer and how does it works? 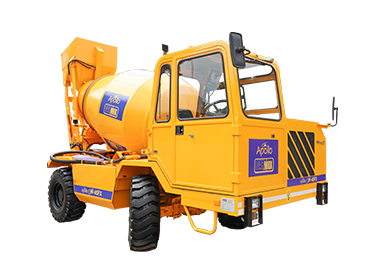 Self Loading Concrete Mixer is a stand-alone innovation in construction industry which mixes the concrete material as well as transports the same to desired place. 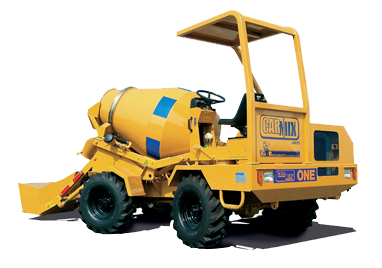 The mixer has rotating drum that is mounted on an operator driven cab mounted on a chassis frame that it is also fitted with a loading bucket. The loading bucket introduces the mixing ingredients into the rotating drum. A pre-determined measure of water is then released into the drum through the water dispensing unit. The mixture is then rotated at the required mixing speed till it is ready for discharge through the fitted chute. 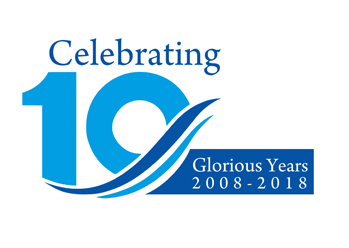 Thus, it has made immense contribution in infrastructural developments. Infrastructure: The poor infrastructure of construction site is one of the major challenges faced by the builders. The poor infrastructure includes lack of financial planning, power supply, transportation roads, non-availability of land within cities and many more. Skilled Labors Shortage: The construction industry is bracing for a dramatic reduction in skilled workforce. Though the construction industry offers a lot of employment opportunities, but due to low wages expectancy of workers who mainly come from rural areas makes the builders to follow the traditional work practices. The traditional work practice does not inculcate good productivity and usually increase the risk of deliverable days. Project Performance: The opportunities in construction are increasing, so as the challenges. The barrier such heavy competition, shrinks profit margin of companies. They struggle to manage with lack of finances which makes it difficult to provide on-time delivery of projects. A proper financial planning and its execution can reduce the effects of poor productivity and profitability. 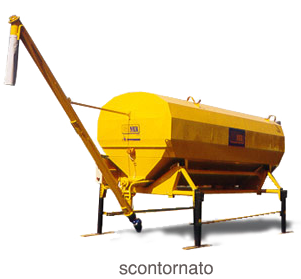 Easy and Quick Availability of Concrete Mix: Self Loading Concrete Mixer can mix the batched aggregates, sand and cement while travelling to the discharging location. Thus, it reduces the cycle time. Less Laborers Requirement: It is a fully automatic machine which loads the materials itself and provides outcome at desired place. Thus, it decreases the demand of personnel to some extent at the work site. Durable Equipment: It is highly designed device which manufactured with supreme grade raw materials. 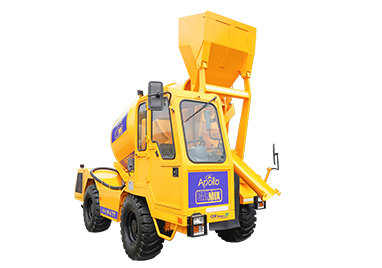 It is specially engineered for on-road and off-road operations for prolonged period. Safe &Energy-Efficient: It is equipped with checking and block valves which guarantees maximum safety of the operator. The Electric servo control uses error-sensing negative feedback to correct the action of a mechanism. It allows millimetric positioning for accurate and precise maneuvers to ensure the output is achieving the desired effect. For instance, its approximate working speed ranges from 0 to 9 km/h and road transfer ranges from 0 to 25 km. The growth of construction equipment market is increasing at fast pace due to massive construction taking place around us. It is quite important to get machineries which are automated as it promotes easy operation and reduction of human efforts. You may want to consult the best in the industry to purchase supreme grade machineries of your construction project. Apollo Carmix can offer you the automated machines which are not only user-friendly but will also facilitate your productivity. Apollo Carmix is the joint venture of Apollo Inffratech Pvt Ltd (India) and Carmix (Italy). 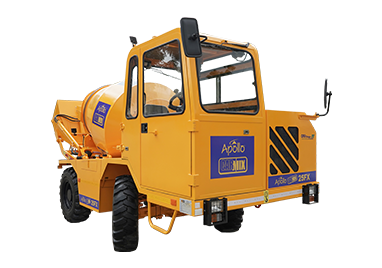 Apollo Carmix is involved in manufacturing a wide range of construction equipment which consists of varied models of Self Loading Concrete Mixers, Dumpers, Carsilos, etc. 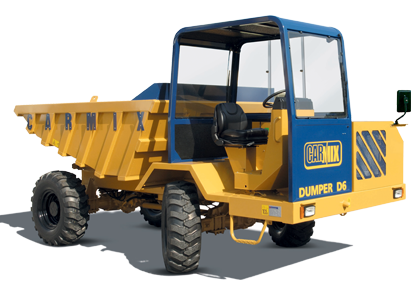 Some of the smart innovations at Carmix includes drum slewing 300°, the front cab, the hydraulically closed shovel, the Joymix, the electronic weighing system, and many more. We provide supreme quality products and unmatched customer services at competitive rates to our customers across the globe.